Probashbangla24 online Desk : Israeli security forces raided the village of a Palestinian suspected of shooting two Israelis dead, the army said Monday, making arrests while the assailant himself remained at large. 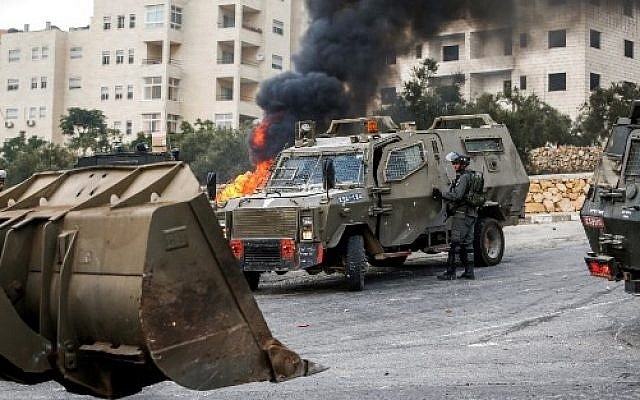 Ashraf Naalwa, 23, from the northern West Bank village of Shuweika, has been named by the Israeli army as the Palestinian behind Sunday’s attack in the occupied West Bank industrial area of Barkan where two Israelis were killed and a third wounded. 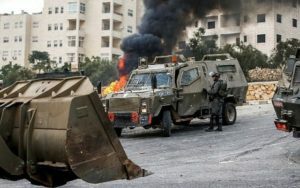 Soldiers, as well as police and Shin Bet internal security officers “operated in the village of Shuweika, north of Tulkarm, from which the terrorist originated,” the military said. It said security forces “arrested” an unspecified number of people “suspected of aiding the terrorist” while a manhunt for the gunman was still underway. A spokesman for the Shin Bet said they had arrested Naalwa’s brother, while his sister was “detained, questioned and released”, declining to provide further details. Naalwa was employed at the same plant in the northern West Bank site as his two victims — Kim Levengrond Yehezkel, 28, and Ziv Hagbi, 34. A third woman also shot in the attack was hospitalised in stable condition. Naalwa used a homemade gun, known locally as a “Carlo”, according to the army, in what security forces believe was a “lone-wolf attack,” meaning he was not part of a militant organisation or acting on its behalf. The army called the shooting a “terrorist attack”, adding however that other unspecified factors were involved.